Carmakers accelerate transition from pneumatic to electric reaction-free tooling! 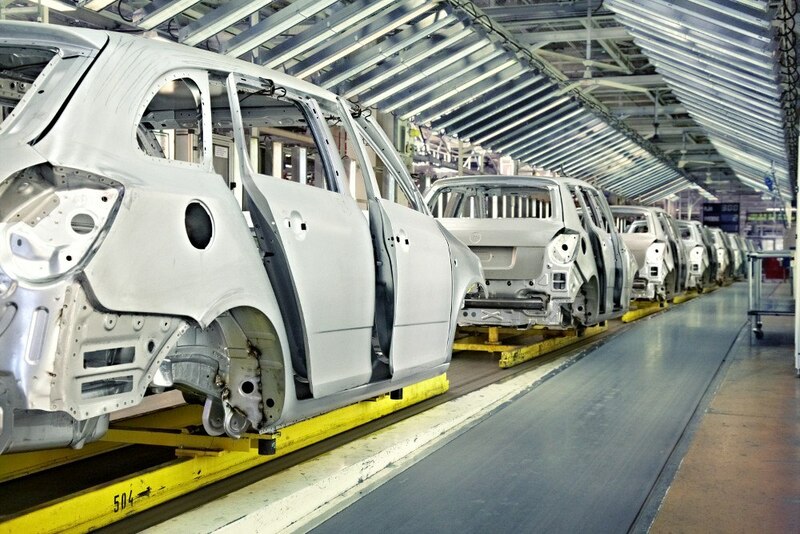 The flexibility of modern automotive assembly plants is a sight to behold. These days, it’s not uncommon to see completely different car models being produced on the same production line, with absolutely no delay. That sort of adaptability requires the seamless integration of advanced robotic systems. Just as crucially, it also calls for assembly line workers to perform their tasks in the most efficient and productive manner possible. 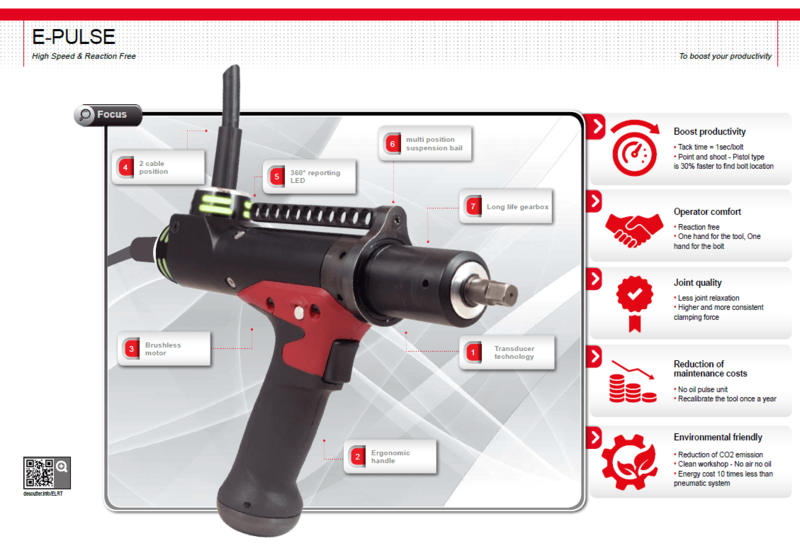 These demands are driving the uptake of new handheld tools across the automotive sector. An example of this is the E-PULSE Low Torque Reaction Electric Tool, already adopted by a number of manufacturers including Toyota and Hyundai, which features a patented pulse mechanism meaning that the tool gives no torque reaction to the operator. The benefits of the tool are clear. Its reaction-free and fully programmable operation, in combination with low weight and ergonomic design, means operators can go about their tasks with full control. With no judder coming through the tool, the fastening of nuts and screws can be conducted with one hand. 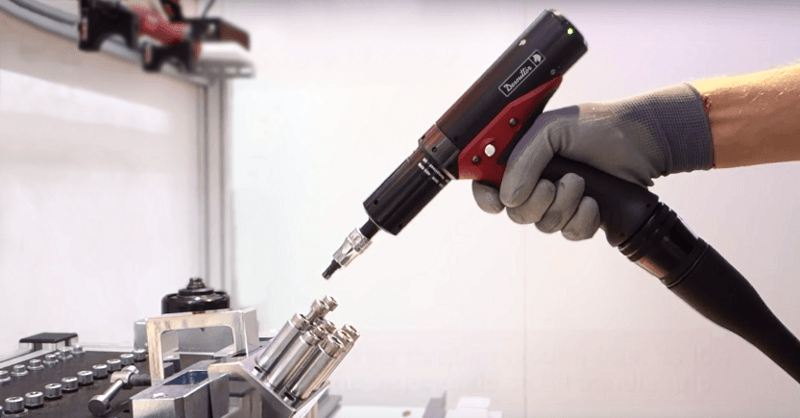 This flexibility contributes to greater productivity, delivering a ‘point and shoot’ solution at speeds of nearly 5000rpm (equivalent to an air tool) with a 30% reduction in the time required to find bolt locations. The torque reaction-free operation also makes the tool more comfortable to use. E-PULSE does not expose workers to the sorts of forces through the hand and arm that can lead to harmful repetitive strain injuries. Ultimately, this can lead to a reduction in the amount of health-related absenteeism, boosting plant productivity. It’s not just the operators that benefit from using the E-PULSE - there’s a positive impact on user cost and maintenance, too. 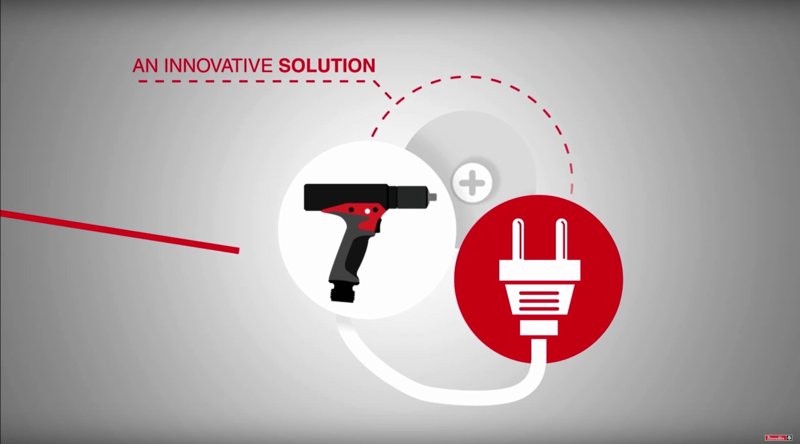 An air-less electric tool uses less energy than its pneumatic counterpart, and its oil-free operation provides a clear environmental advantage. The tool is also fitted with a virtually maintenance-free electric motor and it comes with a long-life gear box, decreasing calibration frequency on the production line. Use of the E-PULSE also provides OEMs with full traceability. Programmable torque control and angle monitoring delivers predictable and repeatable quality. Torque output for each job can be recorded and stored, providing companies with a valuable audit trail of production data for future assessment. Historically, automotive companies have been market leaders in the adoption of electric tool technologies. But other sectors are following suit. The aerospace industry, for instance, also demands extremely high levels of flexibility and traceability within its production plants, and interest in products such as E-PULSE is growing. Domestic appliance makers, meanwhile, are also looking to improve the quality and reliability of their white goods, and the shift from pneumatic to electric tools is a relatively low-cost means of achieving that aim. Ultimately, forward-thinking companies recognise that they have to invest in the latest technologies if they want to achieve long-term improvements in production efficiency. Put simply, to achieve quality insurance, simplified maintenance and operator comfort, you have to make sure your workers have the right tools for the job.